This week, Rathlin Energy (UK) Limited mobilised the drilling rig and associated equipment to the West Newton site. As of 13 April 2019, operations on the site will be suspended pending the arrival of additional equipment. The site will be continuously manned by security and rig personnel. Once site operations recommence they will continue 24-hours a day for approximately eight weeks. We appreciate peoples’ understanding of our work and we aim to keep disruption to our neighbours to a minimum. Rathlin Energy (UK) Limited has [today] started the mobilisation of the main drilling rig to the West Newton A site on Fosham Road to drill the West Newton A-2 well. This phase of operations will involve a typical oil and gas well drilling rig ~35 metres in height (pictured below) and associated equipment. Rathlin Energy (UK) Limited is pleased to announce that East Riding of Yorkshire Council’s planning committee approved the extension of the permission for the West Newton A site, for a further three years, until 19 November 2021. The company plans to drill its next conventional well from the existing West Newton A site. The West Newton A-2 well will follow up on the WNA-1 gas discovery, and will drill to a depth of approximately 2,000m to test the conventional Permian carbonate reservoirs. The deeper (3,000m) shale layers play no part in Rathlin Energy (UK) Limited’s programme of works which for clarity does not involve shale gas. Rathlin Energy (UK) Limited is pleased to confirm that a farmin agreement has been signed with Union Jack Oil plc (“Union Jack”) and Humber Oil and Gas Limited (“Humber”) regarding a partnership in PEDL183. The terms of the proposal would see Union Jack and Humber each acquire a 16.665% working interest in PEDL183, subject to the approval of the Oil and Gas Authority (OGA). Rathlin Energy (UK) Limited would remain as the operator of PEDL183. Rathlin Energy (UK) Limited is also pleased to confirm that it has secured an additional £3MM equity investment from Reabold Resources Plc. (“Reabold”), subject to completion of the Union Jack and Humber farmin. The Reabold investment, together with the farmin, will fund the drilling of an appraisal well on the conventional West Newton Permian carbonate gas discovery, in Q1 2019. Shale gas and fracking form no part of Rathlin Energy (UK) Limited’s drilling and appraisal programme. The resource estimates and financial figures quoted in the Union Jack and Reabold press releases on November 5th 2018 are consistent with Rathlin Energy (UK) Limited’s Competent Person’s Report (CPR) prepared by Deloitte LLP and Rathlin Energy (UK) Limited’s internal estimates. The Union Jack and Reabold press releases can be found on their respective websites. Rathlin Energy (UK) Limited is pleased to confirm that the company is currently in discussions with Union Jack Oil plc (“Union Jack”) and Humber Oil and Gas Limited (“Humber”) regarding a partnership in PEDL183. The terms of the proposal could see Union Jack and Humber each acquire a 16 2/3 % working interest in PEDL183, subject to finalising deal terms and the approval of the Oil and Gas Authority (OGA). Resource estimates and financial figures quoted in Union Jack’s press release (http://unionjackoil.com/wp-content/uploads/2018/10/UJ_RathlinOpportunityPres_Oct2018.pdf) on October 3rd 2018 are consistent with Rathlin Energy (UK) Limited’s Competent Person’s Report (CPR) prepared by Deloitte LLP and Rathlin Energy (UK) Limited’s internal estimates. Rathlin Energy (UK) Limited will be seeking an extension to its planning permission for the West Newton A site. The details are expected to be published by East Riding of Yorkshire Council sometime this week (week commencing 10 September 2018). The Environment Agency has issued Rathlin Energy (UK) Limited (Rathlin) with environmental permits that form part of the necessary permissions required to undertake activities associated with drilling and well testing operations proposed for the West Newton B wellsite. These permits include standard rules RSR and Oil Storage permits and a bespoke Mining Waste permit not including a waste facility. The incineration of natural gas and the discharge of clean surface run-off water are permitted within the bespoke Mining Waste permit. These permits contain a pre-operational condition that must be satisfied prior to commencement of drilling operations and two additional conditions that must be satisfied prior to commencement of well testing operations. Specific information regarding these permits will be available on the Environment Agency’s public register of data. 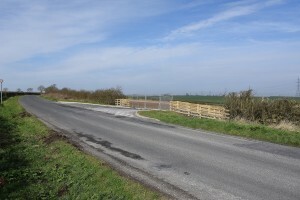 There are a number of other regulatory authorities whose requirements also need to be satisfied prior to project commencement, including the discharge of planning conditions set by East Riding of Yorkshire within the June 2015 planning permission for the West Newton B site, notification of the Health and Safety Executive and well consent from the Oil and Gas Authority. The granting of these environmental permits brings Rathlin a step closer to starting work at West Newton B later in the year. Plans have been developed to keep the effects of all operations upon local communities to a minimum. Traffic management will play an important part in this and a plan is in place, which will reduce the local impact for the very short period of the exploratory operations. Below is the Environment Agency’s press release. The Environment Agency has granted environmental permits to allow Rathlin to carry out exploratory drilling at a site in East Yorkshire. The decision follows a rigorous assessment of Rathlin Energy UK Ltd’s proposals, as well as all comments submitted during a public consultation. The company is proposing to drill a well for conventional gas exploration, to burn any gas produced during the drilling or testing of the well in a flare, and to discharge clean surface water from the site. The company has not applied to carry out fracking, and the permits do not allow fracking to take place. The permits set out the conditions that Rathlin must follow in order to protect groundwater, surface water and air quality and to ensure the safe storage, management and disposal of waste materials. A spokesperson for the Environment Agency said: “After completing a thorough assessment of Rathlin’s application and all of the responses to our public consultation, we are confident that these environmental permits set out the right conditions to ensure that people and the environment are protected. The Environment Agency has confirmed that Rathlin Energy (UK) Limited’s environmental permits at Crawberry Hill have now been surrendered. The company will now implement the five year aftercare programme at the site. The Environment Agency’s press release is included below. 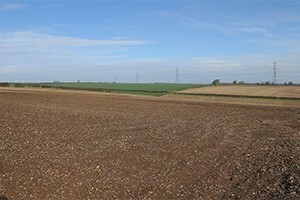 A redundant exploratory drilling site in East Yorkshire has been restored to its previous state of agricultural land. 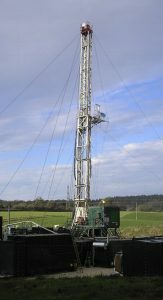 The Environment Agency has accepted the surrender of the environmental permit for the well site at Crawberry Hill, near Beverley, after Rathlin Energy UK Ltd decided to discontinue using the borehole. Rathlin built the well pad and drilled a borehole as part of its oil and gas exploration work in Yorkshire, although the borehole was not used to produce oil or gas and it is no longer required by the company. 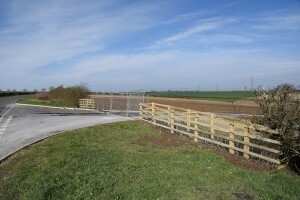 The operator’s environmental permit for this site, issued by the Environment Agency, required the site to be fully restored before the permit could be surrendered. 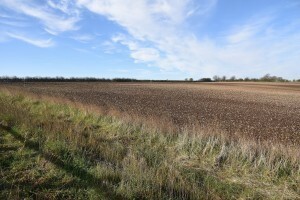 The company has decommissioned the borehole in line with HSE regulations, removed the well pad, and landscaped the land in line with the agricultural environment in which it sits. The restoration work at the Crawberry Hill site has now been completed. The next step is for East Riding of Yorkshire Council’s planning department to visit the site before we formally relinquish the environmental permits to the Environment Agency – a process that is estimated to take six to eight weeks. East Riding of Yorkshire Council has now closed out the Temporary Road Order (the speed restriction) along Walkington Heads and we have taken some soil samples from the site surface which will be analysed as part of the site closure plan. The field will then be subject to a comprehensive five-year aftercare programme.